Tatami is an original Japanese invention invented without being influenced by continental culture. Tatami culture cultivated in this Japanese humid climate and unique aesthetic sense. Although its origin is not known exactly, not only is the tatami of the Nara period used by the Emperor Shomu preserved in the Shosoin Todaiji temple, but also the word "tatami" is found in the oldest historical book in Japan "Kojiki". Today, tatami is popularly spread, but in the past it was a noble mat used only by the people with high standing. Igsa industry is founded by a wise ruler during the Muromachi era. 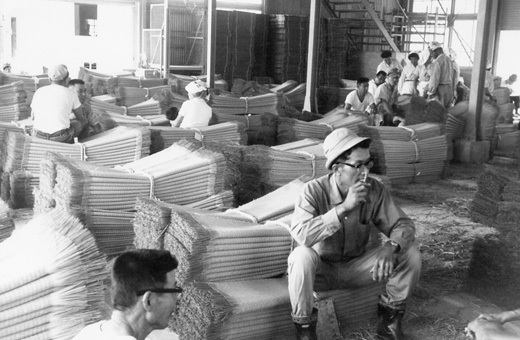 In Kumamoto prefecture, cultivation of igsa started in the Muromachi era. 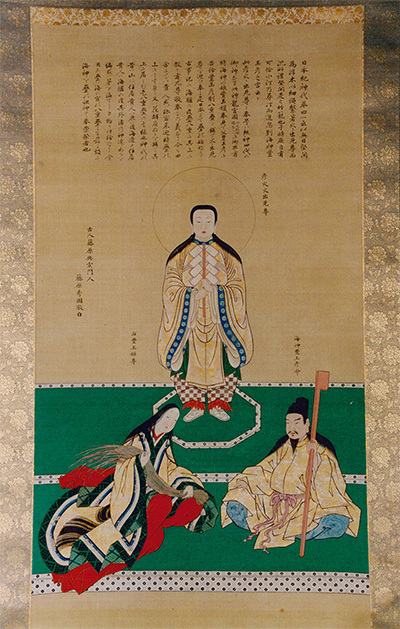 Tadahisa Iwasaki who was sent as a chamberlain of Agetsuchi castle (loceted in Omuta, Sencho town, Yatsushiro city) by Sagara who subjugated Yatsushiro area on behalf of Nawa of the former group encouraged cultivating igsa and weaving in 1505. 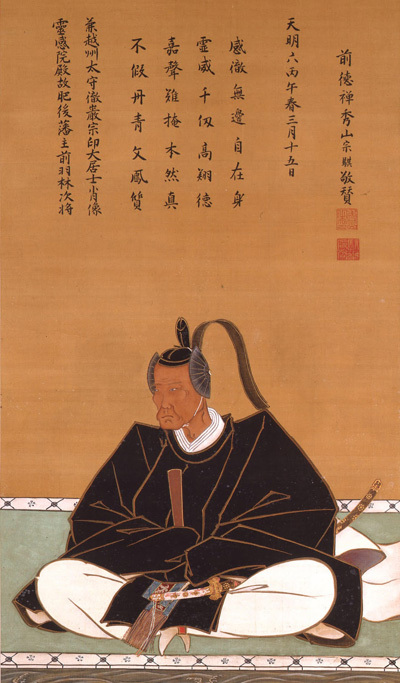 Tadahisa was both a good warrior and a good scholar, and was a wise ruler who was a load of Agetsuchi castle for 39 years, and his achievement has been handed down to the present as the "Father of Yashiro Igsa". Cultivation of igsa took root in Yatsushiro after many years. There is also a record that the feudal lord of Kumamoto, Hosokawa, recommended the cultivation and weaving of igsa in this area in the Horeki ara of the Edo period (1750's). However, even in this era when tatami popularized mainly among townspeople, they still had the regulation of the thickness and edge pattern of tatami in accordance with status, and free cultivation had been forbidden. At the time, there were only 5 villages allowed to cultivate igsa in Yatsushiro area. Even in 1856, cultivated area was about 32.9 ha. After the Meiji Restoration occurs, the regulation of tatami cultivation was removed, and it was allowed to cultivate freely. However, in the technology of the first term of Meiji era, weave about one mat per day and plant one tan per farmer was as much as they could do. Igsa cultivation was never a business that can earn high interest rates. The planting area began to grow perceptibly after "Noguchishiki ashibumiki" was developed in 1910. 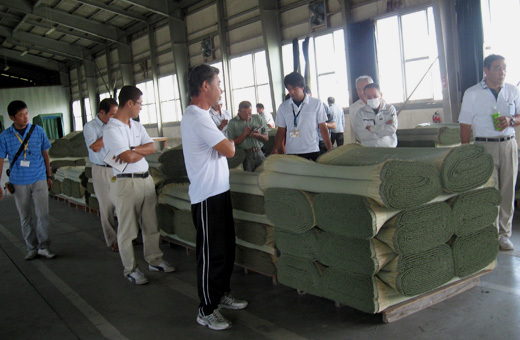 This machine made them possible to weave three mats per day, and Kumamoto gradually increased the production quantity of igsa. In 1932, a power loom was developed, and it made to weave modern weaving possible. With this technological innovation, the planted area has advanced to about 535 ha in 1936. Sent some technicians of Kumamoto to Hiroshima and Okayama where the base of Bingo Tatami, and also made significant improvement in quality side. 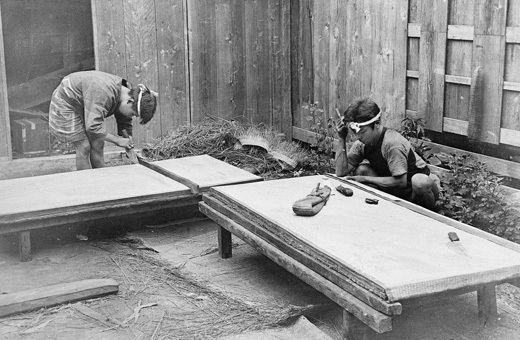 Even though Okayama and Hiroshima had shift to manufacturing industry in the middle of the Showa era, Kumamoto kept tatami industry and it never stopped growing. It got over the difficulties of the World War Ⅱ , and achieved a great development. Due to the westernization of lifestyle and the increase of tatamis from overseas, the demand of Kumamoto tatami began to decreasing. However, people who involves in Kumamoto tatami support the very important piece of Japanese culture with inheriting the wisdom and skills of the ancestors, even if the prosperity is not as powerful as in the past. It has been over 500 years ago since Tadahisa Iwasaki planted igsa for the first time, and igsa industry has not been changed. Kumamoto and Yatsushiro continues to play an important role as a main production area and for the future of Japanese igsa.